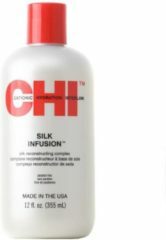 CHI Ionic Color Illuminate Color-Enhancing Conditioner - Platinum Blonde. CHI Ionic Color Illuminate Color-Enhancing Conditioner - Dark Chocolate. CHI Ionic Color Illuminate Color-Enhancing Conditioner - Golden Blonde. CHI Ionic Color Illuminate Color-Enhancing Conditioner - Mahogany Red. CHI Ionic Color Illuminate Color-Enhancing Conditioner - Coffee Bean. CHI Ionic Color Illuminate Color-Enhancing Conditioner - Red Auburn. 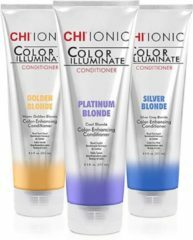 CHI Ionic Color Illuminate Color-Enhancing Conditioner - Silver Blonde.